The solution must be able to integrate with their current networking devices. Clustering is a Nodegrid feature that establishes a secure and resilient connection among other Nodegrid units so that when Cloud Clustering is enabled, multiple systems can easily have a 360° view, manage and access all devices connected to the units. This can be done for data centers and remote locations clustered logically over IP or physically over a cascade port. 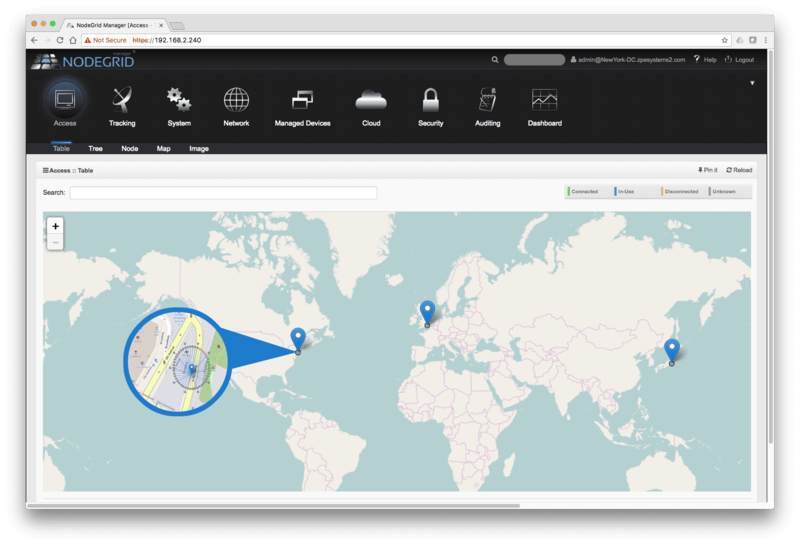 Nodegrid makes cloud access management even easier with cloud asset search. By logging into any Nodegrid node, users can search using natural language for existing managed devices or recently discovered devices over the entire Nodegrid-managed enterprise network and cloud with a single interface. The first phase consisted of replacing their existing OOB (Out-of-Band) system with ZPE’s serial consoles. 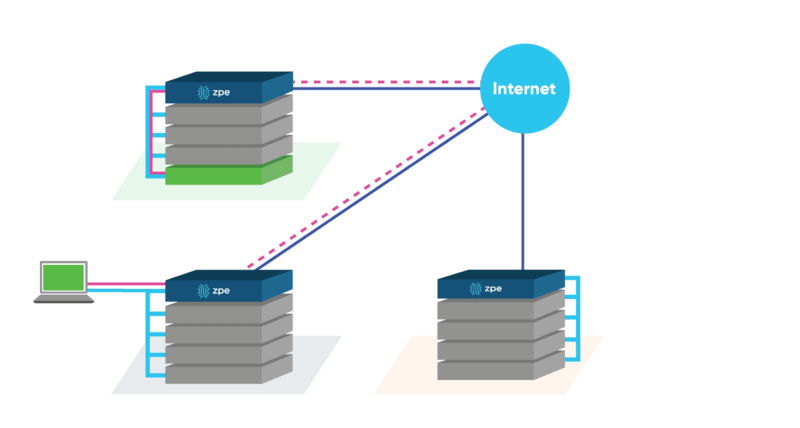 With ZPE’s T-Series auto-sensing capability and enhanced hostname detection, the organization did not need to replace existing cabling and neither add port alias manually. After connecting all of their IT and Network devices (routers, switches, firewalls, storage devices, PDUs, etc) and enabling Clustering, the SysAdmins/DevOps gained visibility of the entire IT and Network infrastructure. They could now see and access every device in their network from a single user interface. No longer needed to memorize individual device IP address. With a better understanding of the devices that made up their network infrastructure, the second phase consisted of eliminating and replacing old power and network hardware. 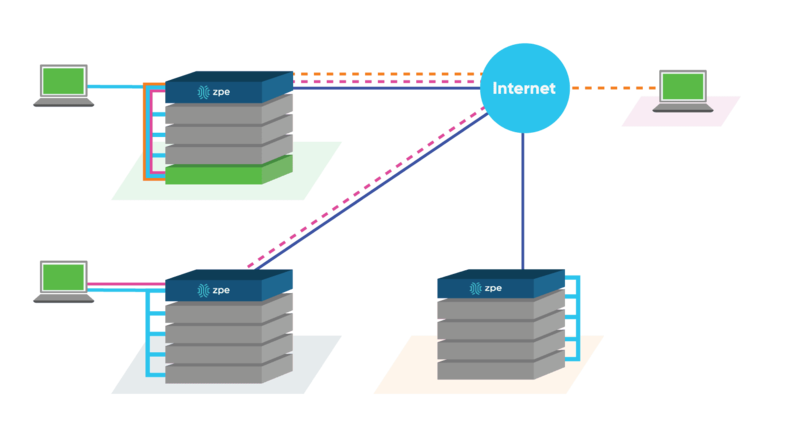 With Nodegrid, a ZTP (Zero-Touch-Provisioning) and LLDP ready and product-agnostic platform, the team could focus on purchasing products that fit their environment without having to worry about compatibility with their new OOB solution. They could purchase from any vendor. For the final phase, after each site had been upgraded, the team continued to use the Nodegrid platform to monitor and manage the new setup. The IT staff was divided into different teams, each in charge of a portion of the network; security, power, storage, etc. By setting up permission/privileges, each team could only access the target devices assigned to them, and at the same time, the Senior Network Engineer had access to the entire network. The Sr. Network Engineer located in Cupertino needs to be able to see and manage all of the network devices. With Nodegrid Clustering, the engineer only needs to login once to any of the units in the cluster to have complete visibility of the network. Nodegrid Clustering facilitates the collaboration between engineers. Whether they are looking so solve an unknown issue or are working on a new software, Nodegrid allows up to 20 concurrent users to access the same device simultaneously. Although not recommended, each of those 20 users can have Read and Write privileges. While Nodegrid can provide visibility to all the network devices, security best practices suggest some engineers/groups should only be able to access a specific set of them. Access can be granted to specific engineers or set for entire groups. Engineers have the ability to set parameters and thresholds that will trigger alerts. ZPE units are always listening to the target devices for these user defined thresholds, and once they are reached a notification is sent to authorized engineers. Additionally, with our automation capabilities, engineers can program auto-correcting scripts that can run in our platform. Share the post "The Case For Nodegrid Clustering"